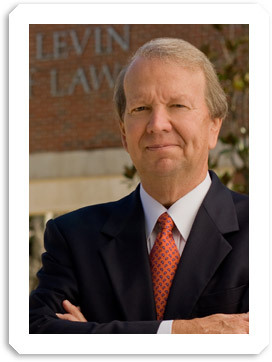 Jon Mills is Dean Emeritus and Professor of the University of Florida College of Law and former Speaker of the Florida House of Representatives. He is counsel to the law firm Boies, Schiller and Flexner. In public service, Jon served ten years in the Florida House of Representatives and was Chair of the Natural Resources Committee. He was a prime sponsor of The Wetlands Protection Act, Water Quality Assurance Act, and the Growth Management Act. He received environmental awards from Audubon, the Sierra Club, and the Nature Conservancy. He also served on Florida’s 1998 Constitution Revision Commission and was selected its most valuable member. As a professor and author he has written several books and multiple articles on public policy issues including “Privacy the Lost Right” (Oxford Univ. Press). He has been quoted in the New York Times, Wall Street Journal, Washington Post and has been interviewed on public policy issues by CBS, NBC, PBS, ABC and the BBC. As an attorney he has appeared in federal and state courts including high profile cases protecting the privacy of Dale Earnhardt’s family and Dawn Brancheau’s family after her death at Sea World. He won a Suncoast Regional Emmy Award for the best public affairs production in the Southeastern United States for the show "Whose Water Is It Anyway?" – which was part of the PBS Common Ground series about Florida’s Everglades in 1998. He is married to Beth Mills and has two daughters.